Conference intelligence software, also known as event intelligence software, is used by business and sales representatives to enhance their presence at conferences and trade shows by connecting them with existing and potential clients. These tools can provide valuable insights before a conference, enabling companies to gauge the value of their attendance. Many products connect conference attendees with potential prospects, further increasing the impact of their attendance. Conference intelligence software often functions as a standalone product, but most solutions will integrate with CRM software. Conference intelligence software is intended to be used by attendees, not by event planners, to plan their attendance or other activities while at a conference. Event or conference planners will instead want to look at event management platforms for their needs. Conference Intelligence reviews by real, verified users. Find unbiased ratings on user satisfaction, features, and price based on the most reviews available anywhere. SummitSync’s meeting automation platform helps B2B companies schedule and manage more meetings and drive more revenue at conferences and trade shows. Akkroo, built for exhibitors. Connect events with your marketing stack: turn conversations into qualified leads and accelerated revenue. ​​ ​​We’re at the forefront of event lead capture, replacing outdated, manual methods: business cards, paper forms and rented scanners. Akkroo is changing the game. ​​ ​​Working at the intersection of events and MarTech, Akkroo is the bridge between the physical and the digital, empowering you, the exhibitor, to take control of the process at every event, big or small. ​​ ​​Use Akkroo to capture higher quality leads on the show floor, by collecting accurate contact details plus important contextual information. Event Qualified Leads go straight into your marketing and sales systems, ready for timely, relevant follow-up, enabling a streamlined post-event process. ​​Akkroo is a powerful lead capture solution, but it’s not an all-in-one platform. We’ve built integrations with the most popular CRM and Marketing Automation tools, finally aligning events with your MarTech stack. 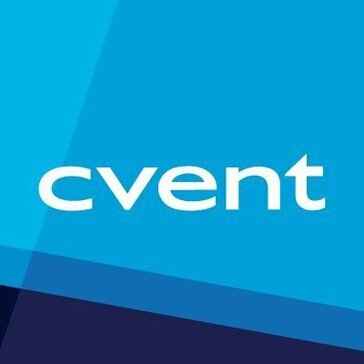 ​​ ​​We’re changing the way people think about events. It’s time for exhibitors to take the lead. Hi there! Can I help you find the best Conference Intelligence solutions?